Now known as Wincanton there have been many variations on the spellings of the place name Wincanton. In the Doomsday Survey of 1086 it was known as Wincaleton thought to mean 'Pleasant town on the Cale' In the will of Richard Bekyn of 1540 it was written as Wyncaunton and in the accounts book of the Feoffees of the Fairs and Market of 1693 it was written as Winecaunton. Since 1724 it has been written as Wincanton. This attractive and thriving market town has a long history. On 17th March 1556 Queen Mary granted a charter to Wincanton for two annual fairs and a market every other Wednesday. In November 1688 a skirmish between the men of King James II's army and invading forces of Prince William of Orange took place between Flingers Lane and Ireson Lane. On 13th May 1707 a fire destroyed most of the older buildings in the High Street and the centre of town. It wasn't until the prosperity of the late 18th century that the town became really important as a staging post on a main route from London to the West. If you would like more information on the history of Wincanton then take a look at British History Online: www.british-history.ac.uk. Wincanton is situated on the extreme southeast of Somerset almost on the borders of Dorset and Wiltshire. This part of Somerset is a countryside of diversified and unspoilt scenery which ranges from the lush pastures of the Blackmore Vale, through orchards and richly wooded combes to the hills with panoramic views over Somerset and adjacent counties. 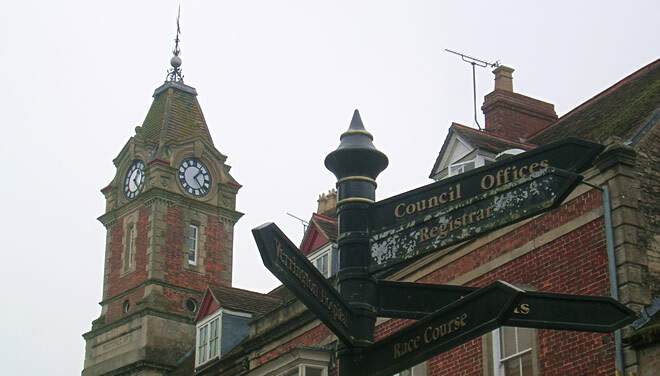 Wincanton lies 15 miles north east of Yeovil, 12 miles north west of Shaftesbury, 17 miles south west of Warminster and 34 miles east of the county town of Taunton. London is 111 miles by road. Situated on the main A303 London to Penzance trunk road, Wincanton enjoys excellent road links and is in an enviable position for exploring this attractive corner of rural England. For the active, the countryside around Wincanton is perfect for exploring on foot, bicylce or horseback. Within easy reach of Wincanton are numerous places of interest easily and quickly accessible including an Iron Age hill fort at South Cadbury - reputedly King Arthur's Camelot, Haynes International Motor Museum at Sparkford, The Fleet Air Arm Museum at Yeovilton and Longleat at Warminster. Classic gardens within easy reach include the National Trust owned properties Stourhead House and Gardens and Montacute House. Historic Bath and Salisbury are an hour's journey away. Sherborne and Glastonbury are half an hour away. Conveniently placed car parks provide easy access to the varied range of shops. Interesting small shops purvey everything from wholesome local food to fine wines from across the world. Old coaching inns and restaurants cater for a broad range of tastes and appetites. Some occupy fine 18th century buildings and despite modern shopfronts and motorcars the overall appearance of the town centre has changed little since the mid 19th century. Although Wincanton is classed as a Market Town it does not have a weekly market. There is however a thriving Farmers' Market on the first Friday of every month. Wincanton has excellent sports facilities. Wincanton Sports Centre was opened in 2002, funded by National Lottery grant and is run by Wincanton Community Sports Centre Ltd, located next to King Arthur's Community School, West Hill. Activities on offer at the centre include swimming, fitness suite, karate, badminton, trampolining and hockey. Wincanton Sports Ground and Maddocks Pavilion at Moor Lane have long been established as the Town's main outdoor facilities, providing a 56 acre site previously offering 6 pitches including a junior pitch, 1 rugby pitch and practice area, 1 cricket square, 4 tennis courts and a multi-use area suitable for tennis, netball, 5 a-side football and basketball. Since September 2001 the facilities have grown and now includes a bowling green, and a large Clubhouse, Maddocks Pavilion (remembering Jim Maddocks who left a legacy to the town), 14 allotments (administered by Wincanton Town Council). The ground is home to Wincanton Town Youth Football Club, Wincanton Town Football Club, Wincanton Rugby Club, Wincanton Tennis Club and Wincanton Bowls Club. The site has been used for car shows, circus entertainment, public and private parties, wedding receptions, tournaments and youth activities. Throughout the year Wincanton's famous racecourse stages numerous race meetings - including a full National Hunt programme - and a variety of fairs, displays and events. It also accommodates a 9-hole pay-and-play golf course and in the summer months a popular caravan and campsite. The skatepark is located at Southgate Road, although you can gain access to it via the play area at Rickhayes. This was officially opened in July 2004 and provides a very popular facility for youngsters. A MUGA (Multi Use Games Area) was installed in 2014 and officially opened on Saturday 6th September 2014. Cale Park,formerly known as Rickhayes Recreation Ground was completely refurbished and transformed, it was officially opened on 25th August 2016. There is a wildlife meadow at the top end of the play area this was a joint initative by the Town Council and CATCH. Penn View Recreation Ground has fenced off children's play area including a toddler area. Coneygore, which is situated at the back of Carrington Way, is a wildlife area on a steep slope. On 19th July 1975 Wincanton was twinned with the French town Gennes and Les Rosiers. On 16th October 1991 Wincanton was twinned with the German town Lahnau. On 7th December 2002 Wincanton was twinned with a place that doesn't exist - Ankh Morpork - a fictional city created by Terry Pratchett in his Discworld books.